With educating our customer at the forefront of all pre-design consultations; when designing a new CREWbox™ we factor our customers preference in vehicles, their geographic location, their preferred product & brand, their demographic market be it residential or commercial, DOT laws relevant to their purchase, service & warranty centers close to them, and available training & support options before customizing any CREWbox™ package. Therefore, we can state with impunity that every Junction Crew CREWbox™ is custom designed for our customers. Then, governed by experience and mingled with a healthy dose of logic; a custom Junction Crew CREWbox™ is constructed & assembled to insure that your rig will not only make you money but do so for years to come. Be it a trailer, a box truck, a twin proportioner unit, a portable system, or some combination there of; a Junction Crew CrewBox™ is ALWAYS Electrically engineered, CFM certified, and Manufacturer supported. We believe in the team and will work hard on your behalf taking the curves out of your learning & the pain out of gaining. 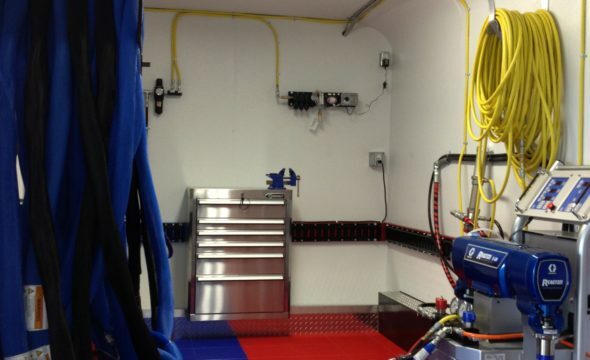 Call us at (855) 246-9126 to inquire about Junction Crew CREWbox™ custom rig packages and services. Free UPS Ground Shipping on all orders of $100 or more. Minimum order amount is $75.00, a Small Order Fee will be applied for orders under $75.00. Purchase Order checkout is available for commercial accounts.